INW-R vs INW-B: The Senior Womens Challenger Trophy 2019 or the Women’s List A tournament kick-starts tomorrow with the first clash scheduled between India Women Red and India Women Blue at Devineni Venkata Ramana Praneetha Ground, Mulapadu, Krishna, Andhra Pradesh. This is the ninth edition of the tournament in which three teams will be playing three games and a final in the round robin format. The final will be played on Sunday at the same venue. In the tournament opener, India Blue will be locking horns with India Red to defend the title. India Blue clinched the Women’s Challenger Trophy 2018 by four runs win over India Red in August 2018 and with both the sides going head to head in the very first fixture, a cracker of a game is expected to take place. Led by Punam Raut, India Blue has Priya Punia – latest sensation and replacement for Veda Krishnamurthy in the New Zealand tour, Mansi Joshi and Aditi Sharma in their ranks while India red will be led by pacer Shikha Pandey and have Veda Krishnamurthy and Radha Yadav in their squad. Next article What to Do on a Fun-Packed Weekend in Zurich? 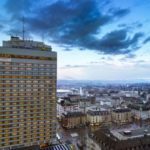 What to Do on a Fun-Packed Weekend in Zurich?